How a central bank created to exist apart from politics got drawn into bitter political arguments. In September, the European Central Bank announced that it had taken decisions on a “number of technical features regarding the Eurosystem’s outright transactions in secondary sovereign bond markets.” The ECB did all it could to make these decisions sound like a nonevent. It claimed that the new policy measures—which it gave the incomprehensible-seeming label Outright Monetary Transactions—had the dull but laudable aim of safeguarding “appropriate monetary policy transmission and the singleness of the monetary policy.” As it turns out, Outright Monetary Transactions are anything but simple “technical features.” They have scant relevance to monetary transmission or to conventional monetary policy. Instead, they allow the ECB to do something that it is not supposed to do: intervene in the market for government debt. This new tool is intended to solve an enormous political problem, and it came into being only after months of bitter political feuding. 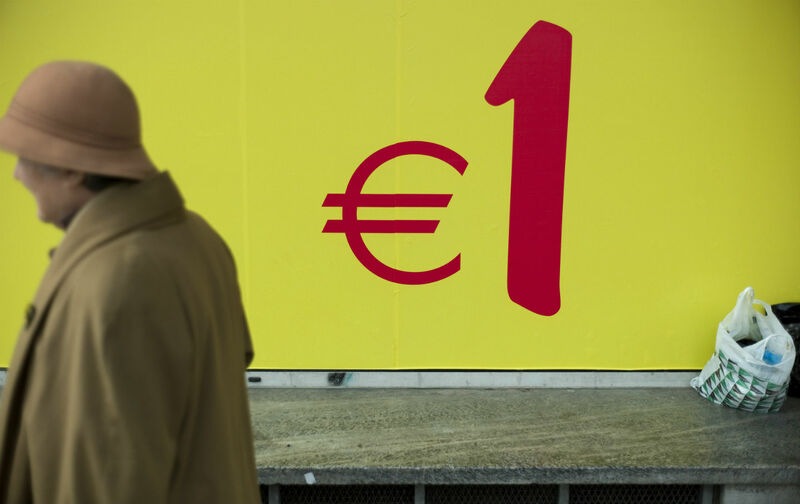 The weaker states in Europe’s single currency zone—Spain, Greece, Ireland, Italy, Portugal—have been lurching from crisis to crisis. For many months, they had repeated difficulties selling government bonds at reasonable interest rates on the open market. The ECB’s new initiative provides potentially unlimited support for these bonds—hence avoiding potentially catastrophic attacks from bond traders—but at a very high price. Members who want ECB support have to submit to a set of European Union and International Monetary Fund conditions, which will almost certainly include savage cutbacks in government spending. Even though the IMF has suggested that overly harsh austerity measures are self-defeating, it has repeatedly knuckled under to the EU’s demands. These stringent conditions are not nearly severe enough for many Germans. Their country’s Bundesbank has traditionally dominated ECB decision-making but voted against the bank’s new measure, denouncing it as “tantamount to financing government by printing banknotes.” Jens Weidmann, the head of the Bundesbank, describes the ECB as having made a Faustian deal with the devil. Germany’s government has played a complex game, publicly supporting the ECB (albeit in vague terms) while doing its damnedest to delay the most controversial decisions until after the country’s national elections next year. Spain, in contrast, wants the help, but not the strings attached to it. Spain is the likely first recipient of support, but it has been trying to delay any new ECB program for as long as possible. The Spanish public, anticipating an ECB program, has staged large public protests against austerity, while the country’s conservative government came into office promising that it would not submit to any IMF-style conditions. Accepting the ECB’s aid on the condition of harsh austerity measures would be a deeply humiliating climb-down. While Spain probably has no choice but to accept eventually, it will do all it can to postpone the evil day. The ECB’s new policy focus arguably makes sense, up to a point. Economist and New York Times columnist Paul Krugman sees it as “a step in the right direction.” Barry Eichengreen, a leading monetary economist and former adviser to the IMF, argues that the ECB is at last becoming a mature central bank. However, the change in its mission introduced by Outright Monetary Transactions has profound political consequences. The ECB has become more powerful than the Fed, but with even less democratic oversight. In the early stages of the crisis, the ECB exercised its influence through secret letters to troubled member states such as Ireland and Italy, laying down conditions and implicitly threatening to withdraw support if they were not met. Now, the bank exercises its power directly and in public. The new economic regime of the European Union—one of greater austerity, tighter regulation of banks and intensive oversight of national budgets—reflects the priorities of the ECB just as much as it reflects the demands of Germany, the most powerful state in Europe. This is no coincidence, as Germany played a key role in shaping the ECB’s policy priorities when the bank first came into existence. This isn’t what was supposed to happen. The ECB was created to drain the poison from a set of politically contentious relationships. It was legally forbidden from buying government debt and had been mandated to prioritize monetary stability above all else. But now it finds itself in a topsy-turvy world. The crisis has dragged the ECB back into the middle of bitter political arguments. It is no longer able to keep itself apart from the sordid world of deal-making over government bonds. The same member states that had forbidden it from buying government debt changed their tune abruptly in early 2010, demanding immediate ECB intervention. How did things go so badly wrong? Harold James’s indispensable new history of Europe’s economic and monetary union explains why the euro was flawed from the beginning. The book that he has written is likely not the one he was supposed to write. Two years before the euro crisis properly began to unfold, James was commissioned by the ECB and the Basel-based Bank for International Settlements to write a history of the lead-up to economic and monetary unification. He was allowed access to the archives on the condition that he end his account in the year 1993. He was presumably expected to produce the kind of boring but useful book that most official and semiofficial historians end up writing. Most certainly, Making the European Monetary Union does everything that such histories are supposed to do. It is long and reflects a great deal of hard work in the archives. However, the usual adjectives used to signal dullness and worthiness—“comprehensive,” “magisterial” and so on—do not apply here: James weaves a fascinating political story across the details, one that is crucially relevant to today’s situation. James demonstrates that the problems and possibilities of the ECB today were set decades ago, in arcane-seeming private discussions among central bankers, politicians and specialized bureaucrats. Contemporary US discussions of the euro emphasize its economic idiocy; these days, it seems hard to understand why politicians and bankers were ever willing to sign on to such a disastrous arrangement. James, who is personally sympathetic to arguments for an independent central bank, sets out to rescue the euro’s creators from the enormous condescension of posterity. He argues that European policy-makers did not create the euro in a fit of temporary lunacy; they only did so after repeated efforts to deal with two recurring—and apparently insoluble—problems of the continent’s postwar economy. First, there were recurring economic imbalances between the European states, because the German economy was so much stronger than anyone else’s and export-driven to boot. Second, Europe was unable to shield itself from the political whims of the United States, which repeatedly adjusted the world monetary system to its liking and ensured that its trading partners, rather than American taxpayers and consumers, had to bear the costs of that adjustment. The history of European economic and monetary union is a history of failed attempts to deal with these nested problems. Within the world monetary system, Europe was more or less at the mercy of the United States; within Europe, the weaker member states were more or less at the mercy of Germany. This was especially frustrating for the French, who still had pretensions to a grand international role and, more practically, wanted greater political control over their economy. As time went on, they found their choices increasingly constrained by world markets and by France’s dependence on Germany, which had a far less government-centric view of how markets should work. During the 1970s and ’80s, European politicians and bankers tried to solve these problems in various ways. Vague early plans for economic and monetary union gave way to narrower and more specific, but hardly more workable, programs designed to lower exchange rate volatility. The so-called “snake in the tunnel”—a poetic name for a prosaic and complicated currency regime—failed badly. Its successor, the European Monetary System, was eventually diluted to the point that it became very nearly meaningless. These systems had the inconvenient habit of collapsing when exposed to sustained market pressures. They also failed to address the problems they were supposed to resolve. Germany remained dominant and, as Chancellor Helmut Schmidt acknowledged in a private speech to the Bundesbank, retained the ultimate veto power: if European arrangements ever seriously threatened the country’s economic well-being, Germany could pull out. When crisis threatened, Germany usually expected other European states to make the necessary and painful adjustments, affecting amazed incomprehension at suggestions that its regular balance-of-payments surpluses were part of the problem. Nor did European states fare much better in international monetary politics: they were simply too divided and too weak to push back against pressure from the United States. The solution to these problems emerged gradually and, at first, almost accidentally. Side by side with these recurrent political crises, European central bankers began to engage in nonpublic discussions on topics of common interest. A committee of central bank governors began to meet at regular intervals. This committee did not set out to create a European Central Bank or a common currency, but, as James documents, it played a crucial enabling role. Central bankers were able to talk to each other about common problems and—sometimes, at least—to talk seriously about possible solutions. The participants in these meetings often disagreed, but they were happily united in the belief that increased central bank independence was an excellent idea, warmly to be encouraged. Their unanimity stemmed from ideological beliefs as well as selfish motivations. The Bundesbank, which often dominated these discussions, had a strong sense of mission, rooted in German fears of hyperinflation and political interference in monetary policy. The ideas of mainstream economists (who were influenced by debates over inflation in the 1970s) and more ideologically outré economists like Friedrich Hayek were also important. Both provided support for greater central bank independence (although Hayek ended up deciding that even the strongest central banks were vulnerable to political influence and advocated private currencies instead). This ideological consensus helped make a European Central Bank more attractive to the governors of the national central banks that it would replace. If one wanted central banks to be free from political pressure, then a truly international central bank, responsible to no single government, looked to be less a threat than a promise of apotheosis. If control of money were taken away from the nation-state, then governments would no longer face the temptation of forcing central banks to print money to boost the economy and their chances of re-election. This committee of central bank governors was not a political institution, and it usually sought to avoid charged debates over how to reconcile the monetary preferences of different countries. But over the longer term, it played a profoundly political role, precisely by devoting itself so scrupulously to the technicalities. By turning political controversies between winners and losers into technical disagreements about the most appropriate tools for central bank policy, the committee gradually changed the terms of European political debate. This enabled Jacques Delors, the politically astute president of the European Commission (the body that proposes and implements legislation for the EU), to renew the push for a single European currency. Delors chaired a committee in the late 1980s—with all of the EU’s central bank governors represented—that proposed a plan for implementing monetary union in a series of stages. The governors saw this committee not as recommending European economic and monetary union, but instead as merely exploring the technical details of how one would create such a union if it was desired. Indeed, some thought the exercise would make monetary union less likely by demonstrating exactly how difficult it would be to make such an arrangement work. Although the head of the Bundesbank, Karl Otto Pöhl, was deeply skeptical of Delors’s intentions, he was constrained by his government from expressing overt opposition within the committee. He also wanted to ensure that any putative ECB would resemble the Bundesbank as closely as possible. This created the necessary space for a compromise, in which the committee agreed on a framework centered on a European central bank that resembled the Bundesbank very closely, and an associated set of rules to prevent member states from engaging in deficit spending. The national central bank governors would become the governing body of the new institution, which would decide important matters with a vote by its members. Pöhl pushed for voting to be carried out on the basis of a simple majority, rather than having it weighted in favor of the bigger member states. This replicated the rules of the Bundesbank, but James also suggests that it provided Germany with a great deal of informal clout. This compromise allowed central bank governors to start thinking through the technical aspects of a common currency. However, the new consensus also closed off important questions. James writes that the governors were unanimously opposed to “any hint of political supervision” over a European central bank, which they feared would lead to inflationary pressures. Together with national finance ministers, they advocated “sound budgetary policy” (code for ruling out the monetary financing of budget deficits) as well as any bailouts for feckless, improvident or merely unfortunate states that got into trouble over spending. At the insistence of the Bundesbank, a European central bank would have no supervisory role over the banking system, because this might be interpreted as obliging the new institution to act as a lender of last resort to banks facing difficulties. Most striking, there was no provision whatsoever for any fiscal union. A single currency would prevent individual European states from devaluing their currency to cushion economic shocks. The obvious alternative solution—temporary fiscal transfers from one state to another—was deemed out of the question. As one key participant noted at the time, monetary union made little sense without fiscal union. Nonetheless, it was a necessary condition for reaching agreement. This political bargain had obvious attractions for the member states. The new ECB would be charged with maintaining price stability. Through some species of technocratic alchemy, this was supposed to turn bitter arguments over how to run domestic economies and deal with international imbalances into expert-driven decisions on how best to target overall inflation. Although James does not discuss the history of economic and monetary union after 1993 in any detail, the essential elements of this bargain made the euro what it is today. For several years after the euro’s creation, the alchemy worked. To be sure, the rules mandating sound budgetary policy were broken by Germany, the very state that had most fervidly insisted on them. But this didn’t seem to matter much; Delors’s eventual successor, Romano Prodi, said that the rules were “stupid” anyway. Equally, the euro seemed to give Germany a decisive victory in its disagreement with France over government’s role in the economy. Although the final bargain referred to the need for both “stability” and “growth,” the former predominated: the ECB was supposed to maintain price stability and nothing else.What was important was that everyone believed the euro was going to work—and hence, it worked. Even before the euro came into being, prospective members’ currencies began to converge. Unlikely converts to the cause of monetary stability, such as Italy and (a little later) Greece, became members. After they joined, they were able to sell bonds at rates nearly as good as the rates enjoyed by Germany. Apart from occasional complaints that the ECB was too much concerned with Germany and too little concerned with other countries when it set interest rates, everyone seemed happy and better off than they had been previously. However, the apparent transformation was superficial. Underneath the shared currency, Europe’s national economies were still very different from one another. Furthermore, economic and monetary union exacerbated the imbalances between them. Money flooded from the core countries to the periphery in search of high rates of return; the lack of central supervision meant that countries such as Ireland could turn lax financial regulations into a crucial competitive advantage. Due to the lack of any counterbalancing fiscal union, member countries were more vulnerable to asymmetric economic shocks that hurt them but not other members. They were also less able to respond to such shocks when they did happen, because these countries no longer had the option of adjusting through devaluing their currency. Because of these structural imbalances, when things went wrong, they went wrong very badly. The financial crisis of 2008 exposed major flaws in the European banking system. The 2010 revelation that Greece had been cooking its books undermined confidence in European state debt, leading first Greece, then Ireland, then Portugal, to ask for bailouts. When the size of the Greek calamity became clear, the ECB came under enormous political pressure to abandon its technocratic role. At one crucial meeting, French President Nicolas Sarkozy screamed at the ECB’s president to “stop hesitating” and take action to shore up the bond markets. German Chancellor Angela Merkel, in contrast, continued to stress the need for ECB independence, reawakening the old disagreement over the role of government in the economy. The ECB itself was more German than the Germans: although it recognized the need for some action, it wanted above all to maintain its political independence. Thus, it refused to take any action on bond markets until the member states agreed on a separate initiative to bail out Greece and other member states. The ECB had not wanted to get involved in politics. Its decision to start buying bonds through a backdoor method was internally controversial and provoked the resignation of the head of the Bundesbank. Yet however ginger its initial embrace of politics, it quickly came to realize the possibilities. The ECB had, like the Bundesbank, always been firmly convinced of the virtues of austerity. Now it had tools that it could use to persuade states forcibly to adopt its understanding of fiscal prudence. The ECB had already started providing liquidity to banks in trouble. It now suggested to countries like Ireland that it would continue to support their banks only if the government adopted austerity measures and stuck to them. Italy was told in a secret letter that it needed to change its wage-bargaining system and to open up its public sector as an imperative, with the implication that the ECB would stop supporting Italy’s bonds if it didn’t comply. The new initiative of Outright Monetary Transactions formalizes and extends the ECB’s ability to shape the economic policy of weaker states, together with other EU institutions. The ECB has swiftly come to occupy a quite extraordinary political role, becoming a major enforcer of Europe’s new austerity policies. European states have difficulty sanctioning each other; hence, it is convenient for the more powerful member states to have the ECB as a kind of ersatz punisher. But the ECB is still swathed in the protective garments of technocracy. It remains independent from both the member states and the European Parliament. If all the member states came together to discipline it, they would surely succeed. Yet getting the member states to agree on anything is extremely difficult—and it’s even more so when several of those member states are committed to central bank independence. Over the near future, the ECB’s powers are likely to grow further. It has secured a central position in the ongoing debates over how the EU should control national budgets to prevent perceived profligacy. It is likely to play a dominant role in the proposed arrangements for supervising private banks. Germany and France continue to dominate in arguments among the eurozone’s member states. Yet in the background, the ECB is shaping the economic destiny of the eurozone, and most especially of its weaker members. These developments cast an interesting light on James’s account of the history. James himself is still guardedly enthusiastic about the prospects for the ECB, when combined with a proper degree of fiscal authority. His sympathetic reconstruction of the beliefs of the eurozone founders is excellent and convincing because he largely agrees with them. He shares their analysis of the need for an institution like the ECB, and of the problems that would inevitably result when noble ideal met the need for political compromise. In more recent writing, he has stressed the need for a “longer-term constitutional renewal” to remedy the initial defects of the euro and restore citizen confidence. Yet his history, when combined with recent events, also supports a more pessimistic reading. An institution that was designed to be free of politics, maintaining its existence in an international environment outside the control of any one government, has become intensely politicized. The ECB, for better or worse, is now embroiled in politics. But then, perhaps that was always the inevitable result. The apparent alchemy by means of which divisive questions of monetary policy were consigned to the realm of technocratic decision-making was never more than clever language and confidence tricks. The basic problems and imbalances remained (albeit in a disguised form) and have now re-emerged, leading to even more vitriolic debates among the eurozone’s members over who should bear the costs of adjustment: Should they be mutualized, or borne by the “delinquent” states alone? At the moment, the ECB is both politicized and free from external political control. In principle, it’s hard to see how this is sustainable over the long term. Politicians and bureaucrats are already crafting proposals to introduce greater democratic controls over economic policy. But it’s equally hard to see how things can change, given Germany’s principled attachment to central bank independence, and its entirely practical attraction to an arrangement under which the EU’s more troublesome states will be disciplined without Germany getting all the blame. If the history of Europe is any guide, then such apparently irrational arrangements can persist for a very long time indeed. In “Zoned” (Dec. 12 issue), Henry Farrell reviewed David Marquand’s The End of the West: The Once and Future Europe. Henry FarrellHenry Farrell, an assistant professor of political science and international affairs at George Washington University, is a co-founder of the academic group blog Crooked Timber. He is finishing a book about the political economy of Italy.